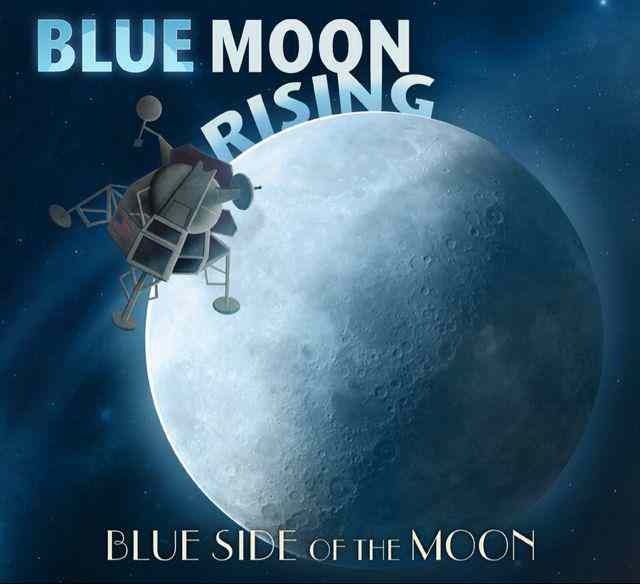 Blue Moon Rising is proud to announce their new album Blue Side of The Moon is now available for digital sale on iTunes, CD Baby and Amazon. It is also available from their new website. Blue Side of The Moon includes the first radio single release, “Colder December,” that made its debut at #4 on Bluegrass Today’s Weekly Top 20 Songs chart just a few weeks after the album’s release and is currently #16 on the chart. The album includes the talents of: Chris West, Brandon Bostic, Tony Mowell, David Mowell, and Rusty Ferrell. A mountain cabin in Stanley Valley, TN served as the recording studio with Bostic providing his engineering expertise and gear from his Root Note Studios. Blue Moon Rising is led by the multi-instrumentalist and singer-songwriter Chris West whose impressive tunes have become a signature sound for the band. Chris will perform this Friday, August 2nd on WBIR’s Alive at Five at Four TV program in Knoxville, TN. Chris will be joined by his son, Aaron West who will be making his TV debut as they promote The Museum of Appalachia’s Fall Home Coming where Blue Moon Rising will perform later this year. Blue Moon Rising’s impressive career includes a long list of chart albums and hit singles that have reached #1 on a wide variety of radio charts and received many other honors. The band received a 2006 IBMA Emerging Artist of the Year nomination and has been chosen twice as an official IBMA Showcase performer. Please visit the band’s official website at BlueMoonRisingBand.com or follow them on Twitter, Facebook. The entire album is available to radio stations worldwide at airplaydirect.com/music/bluemoonrisingbsotm.